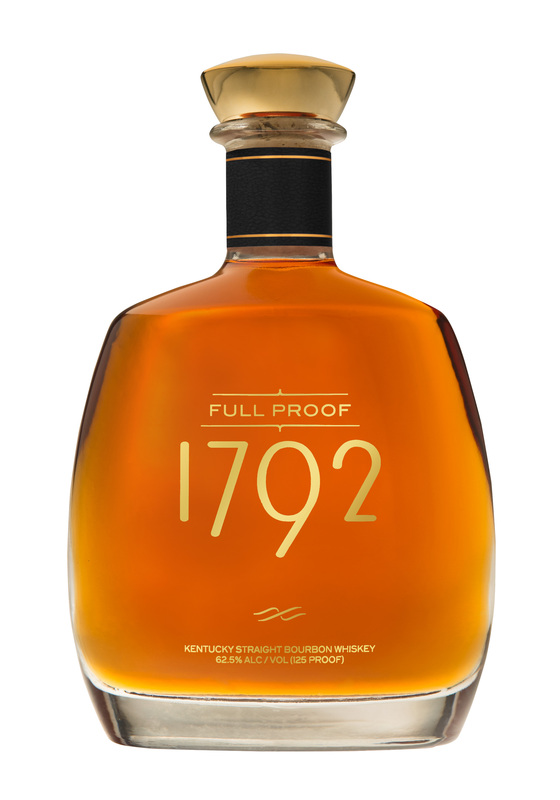 The latest (and fourth) limited edition release in the recently emergent 1792 Bourbon line is this one: “Full Proof,” a kind of weird way to denote that the bottling proof was the same as the entry proof into the barrel. Bottled at the same proof it was originally entered into the barrel, the bourbon was distilled, aged, and bottled at the historic Barton 1792 Distillery. New oak barrels were filled with 125 proof distillate in the fall of 2007 and left to age in Warehouses E, N, and I for eight and a half years. Warehouse I is one of the oldest warehouses at Barton 1792 Distillery. All of these warehouses are seven stories high, metal clad, with concrete bottom floors, and windows all the way around the outside, allowing some direct sunlight inside. After the barrels were emptied, the bourbon underwent a distinct filtering process, forgoing the typical chill filtration, and instead was only passed through a plate and frame filter. This allowed the bourbon to maintain a robust 125 proof for bottling. I’m not 100% sure what that last part means — 1792 surely rises above 125 proof during aging and has to be cut down a bit to reach 125 proof again — but the point is that 1792 Full Proof is an overproof expression of the standard bottling. Here’s how it acquits itself. On the nose, notes of cocoa powder and cocoa nibs engage with rather dense, toasty sawdust. Some notes of ripe banana — perhaps banana bread — emerge in time as undercurrents. On the palate, it’s quite a racy whiskey, fiery and a bit harsh at times. There’s sweetness underneath, but it is masked by a ton of wood, charcoal, and licorice notes, which endure on the finish with a sultry ashiness. Water helps, tempering the wood notes and letting some baking spice show through, but it dulls the experience. In the end, it remains a little muddy, finishing a bit like a damp cinnamon roll — nothing offensive, but just a bit off structurally.